My wedding photographer posted one of our pictures in his facebook page which made me look into more wedding pictures last night and I enjoyed it so much especially those of my friend's wedding pictures. I so love wedding. I wish of getting married again someday (to the same guy of course) a renewal of vows perhaps and only if money is not a problem, no doubt a garden wedding it will be just like my wedding seven years ago (because I love an outdoor wedding) with only my family and closest friends in attendance :) No harm in dreaming right? 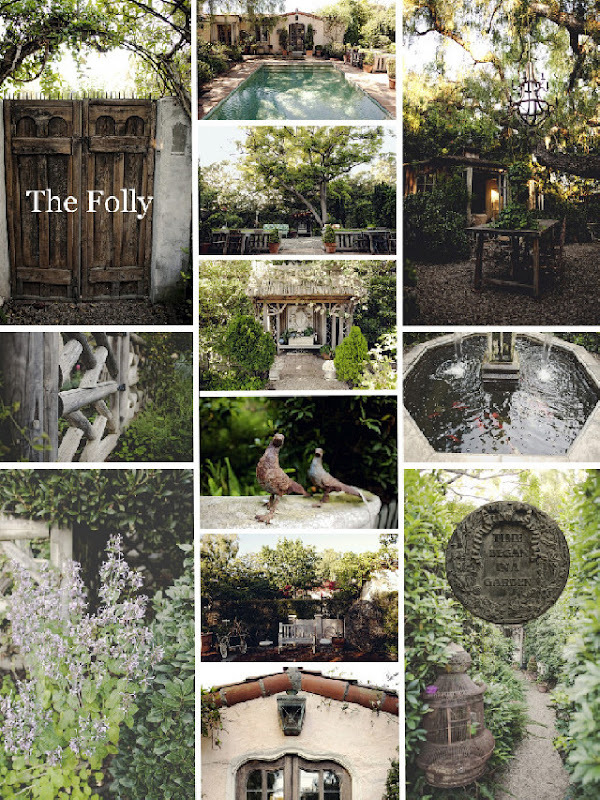 I'll get inspiration from Orange County estate wedding and events, wish I can have an event in The Folly because it is so intimate and as I have said I love the garden type :) here's a picture. Isn't it lovely there? I can imagine how romantic the exchange of vows can be and oh the many beautiful pictures you can take :D Visit their facebook page EstateWeddingandEvents for more beautiful weddings and corporate venues as well. I didn't know you had an outdoor wedding. How awesome. Some of my favorite weddings have been outdoors.